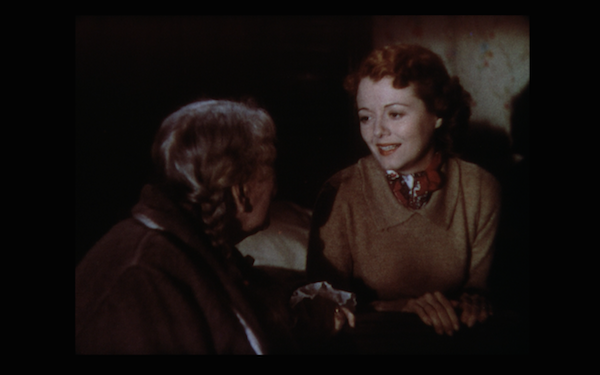 I am writing this essay about the 1937 version of A Star is Born for Now Voyaging’s William Wellman blogathon. This is actually the first non-Criterion review I’ve written for the site, but it is a great subject and I want to support her event. 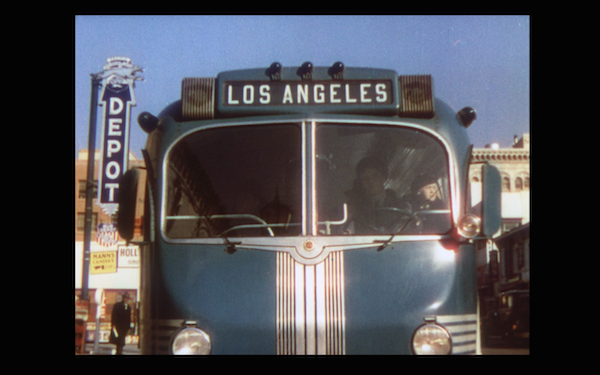 Even today, countless people dream of becoming movie stars in the mythical land of Hollywood. However, stardom today is not the same as it was during the 1930s when the star system was at its height. Stars such as Garbo were goddesses. Virtually everyone went to the movie palaces to see their images fill the screen. They were larger than life. During one of the worst economic periods, people dreamed of escaping their meager lives and being both rich and adored. Operators turning down aspiring stars. The Hollywood myth became like a Horatio Alger novel — rags to riches. Certainly some people did get a lucky break and achieved stardom, but they were few and far between. 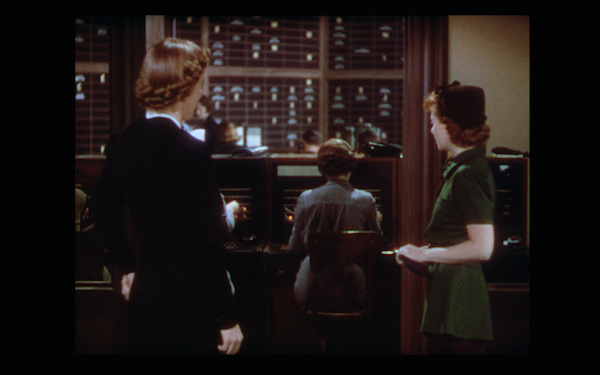 In the film, as Esther Blodgett (Janet Gaynor) tries to get a job as an extra at a studio, she is shown a group of operators whose only job was turning down those looking for work. In the real world, Blodgett wouldn’t even get in the door. She was told that the chances of becoming a star was 100,000 to one. I would wager that even then, it was closer to a million to one. Even if the protagonist is a budding star, the film shatters the illusion, and subsequently the glamour of becoming a star. It is unlikely, and if it happens, it is not all that it is cracked up to be. A couple weeks ago in our podcast on Truffaut’s Day for Night, we explored the concept of Hollywood turning the camera on itself. This practice is called ‘self reflexive’ by academics, and A Star is Born is one of the early examples (also What Price Hollywood? but that’s another story.) Often the portrayals of Hollywood are not altogether positive, and that is clearly the case with Wellman’s film. Blodgett, or as she would be referred to in Hollywood, Vicki Lester, would find that the life of a star is far from perfect. She gets her break out of luck, and that speaks to Hollywood then and now. Just showing up with a suitcase is not enough to get in front of the camera. You often need to have a connection. 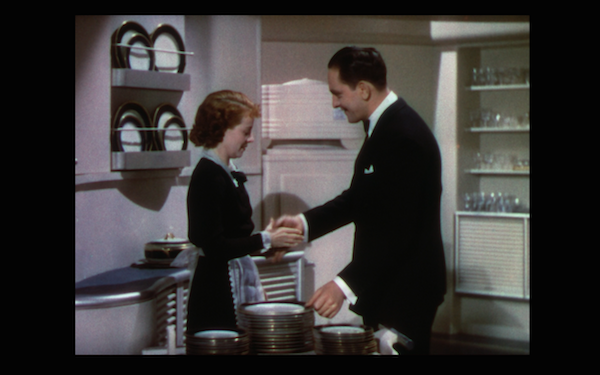 Blodgett finds her connection with someone in the industry, and through him, she eventually meets the star actor, Norman Maine (Fredric March). Maine takes to the youngster, and pulls a few strings to get her work in the studio. She becomes Vicki Lester, and you could say that meeting is the titular instance where the star was born. She had the capability and the look. She just needed the opportunity. Lester and Maine at the Oscars. Lester and Maine develop a relationship, which leads to marriage. They star in a film together, and where Lester is terrific and fawned upon, Maine is disparaged. Struggling with alcohol and his own ego, despite his devotion to Lester as her star is rising, Maine’s star is falling. He tries to be a good husband, but at the core, he resents the fact that his wife is gaining acclaim while his career is going down the tubes. He crashes the Oscars when Lester is receiving an award, decrying Hollywood for leaving him behind, and bashing himself for giving what he dubs a Worst Acting award. His tale is tragic and cautionary. The fact that Lester is dedicated and loving to him speaks to her character. While she is becoming a star in the film, she also endears herself to the audience by showing consideration for those around her, especially her husband. Major spoilers follow this image. Seeing Maine’s struggles, Lester decides to sacrifice her career. The love and devotion she feels towards her husband is worth plenty more than acclaim and adulation. Maine overhears her when she decides to sacrifice herself for him, and he instead makes a sacrifice for her. Here is where I find the film fascinating. Back in the 1930s, Hollywood was especially in the happy ending business. This ending has a tragedy, although I wouldn’t entirely call it a sad ending. It is more of a bittersweet ending, because Maine recognized that he was holding Lester back, and his sacrifice for her was heroic in a strange sense (even if cowardly). A Star is Born was not only a well-produced film, but it was also brave. It turned the cameras inward and exposed Hollywood, warts and all, and did not turn away from a challenging ending. 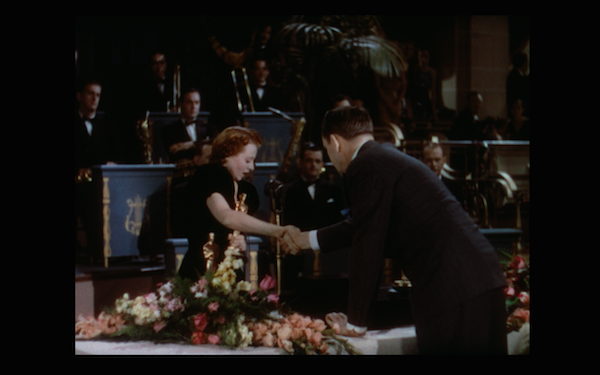 There is a reason that this story has been re-made twice, including the 1954 George Cukor version with Judy Garland and James Mason, which was ultimately more successful and probably remembered better today. Even though I really like the performances in Cukor’s performance, and prefer Mason to March, the original is my favorite. This is mostly a credit to the work of people like Wellman. Posted on September 11, 2015, in Film. Bookmark the permalink. 11 Comments. Thank you for taking a break from the Criterion to support the blogathon! It wouldn’t be the same without you and your wonderful posts! Very nicely done sir! Glad to, and I’m especially glad that your inaugural blogathon appears to be a success. Thanks for participating in mine (ours) in November. A really great film, and a terrific supporting cast, too! Agreed. I didn’t go into the cast, but Lionel Stander deserves a mention. He was pretty much an evil character, but he played it well and injected some comic relief. This is my fave version of the “Star is Born” story. (Fredric March is heartbreaking in this role, no?) I think Wellman was able to tell a compelling story without being too melodramatic. Thanks! March is fantastic, and even though I said I prefer Mason, I didn’t mean that as a snub towards March. Both are historic and immensely talented actors. I also prefer the original – which actually is my favorite film of all time. And I was also surprised by the ending – it is the great power of the movie (together with the Technicolor). I agree that it is bittersweet, because Vicky says “I’m Mrs Norman Maine”. Without this iconic sentence, it would be just plain sad. Thanks for the comment! 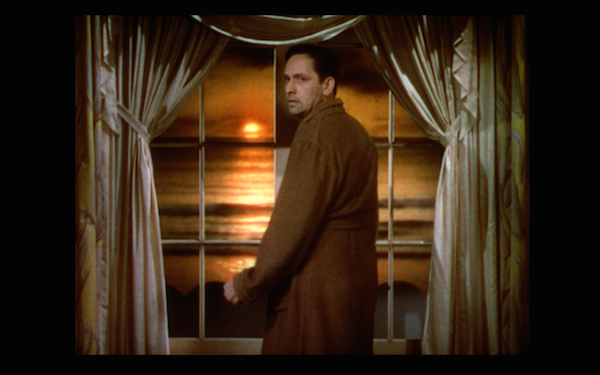 Yes, the technicolor is gorgeous, especially in that sunset Norman Maine scene. Really good piece – sadly I’ve only seen the faded Technicolor versions, so your comment about the colour looking gorgeous reminds me that I must get hold of the newer DVD. Wish they would release that print in the UK! This is one of my favourites by Wellman – March and Gaynor are both fantastic. I do also love the Cukor remake, though it’s a shame we don’t have the complete film, and also the earlier Cukor film on the same theme, What Price Hollywood? I probably shouldn’t have raved too much about the Kino technicolor release. It does look good for 1937, but still has been faded. Perhaps one day a better restoration will happen. You can basically tell from the screens how the color looked.